A good quality crankcase kit that will give style to your scooter. Decorative crankcase kit TUN 'R aluminum scooter PEUGEOT 50cc (see list below), ideal to give a look tuning and racing to your machine. 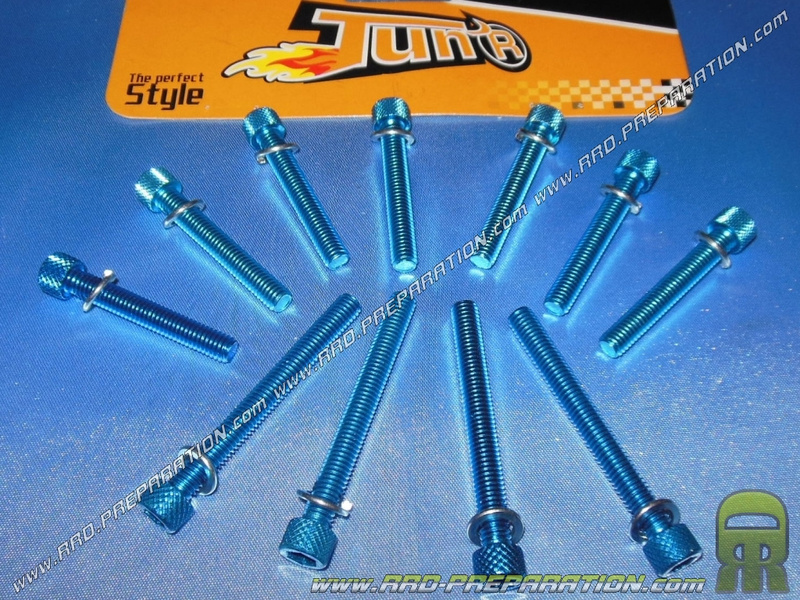 They are good quality, alloy and not titanium. They will be ok to give a nice aesthetic touch .. This complete set contains 4 crankcase screws Ø6X61mm + 7 crankcase screws Ø6X46mm and 11 washers Ø6,5m allowing a better maintenance of the screw. And many other models ..